George Strait has just announced a short series of Vegas dates where he will play all his sixty of his #1 hits over two nights. 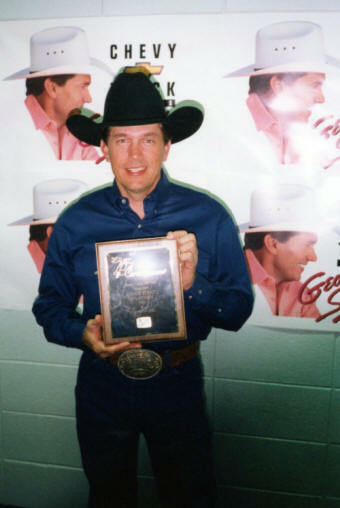 In 1996, Shane Media was proud to award its Steamroller Award to George Strait for being the Most Played Artist of the year at Shane Media client stations. 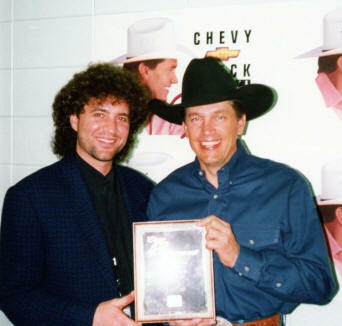 Here Strait is pictured with then head of MCA Records Scott Borchetta. Scott now heads Big Machine. Copyright © 2017 Shane Media All rights reserved.